Eyelid surgery, eg to remove hooded excess skin in upper eyelids or to reduce eye bags, deep tear troughs and wrinkles in the lower eyelids typically has the biggest impact in refreshing and rejuvenating the facial appearance of all the facial cosmetic procedures. It can also be the most straightforward and lowest cost (see bottom of page) cosmetic surgical procedure one can undergo – for example both upper eyelid blepharoplasty surgery can be performed under local anaesthesia in little more than an hour while you listen to music with your eyes closed, go home the same day and have then the stitches removed 5 days later. Upper eyelid surgery is the commonest procedure and generally has a big impact in rejuvenation, attracting positive comments from friends….”you look well”, “wow have you been on holiday?” or “have you changed your make-up, you look great”. What can I be offered? Generally speaking, fine ‘crepe-like’ wrinkles are better treated with chemical peels or laser resurfacing. Upper eyelid hooding is best addressed with blepharoplasty surgery which can be relatively easy. Some cases with a droopy eyebrow position may also require a surgical, endoscopic or non-surgical brow lift. Lower eyelid eye-bags may be treated surgically with various blepharoplasty techniques including redraping procedures. Non-surgical methods can moderate tear-trough lines with filler injections. From the outset, therefore, the consultation and assessment is probably the most important part of your care pathway. Surgery should, of course, be executed to high standards but firstly it is a prescribed technical procedure which should be precisely matched to your personal diagnosis and wishes. You should research widely before booking in for a consultation to ensure your problem is not going to be perceived as a nail being presented to a single hammer from an otherwise empty toolbox! Eyelid surgery may be performed under general anaesthesia (asleep) or, sometimes, local anaesthesia (awake) and is usually a day-case procedure (you go home the same day). Surgical eyelid reduction techniques can be performed either through concealed incisions inside the eyelid (transconjunctival) or placed within an external skin crease in the eyelid. External excisions may be extended towards the crows feet in a customised fashion. You may require a reduction / repositioning of fat volume in the eyelids or a redraping procedure along with a small excision of redundant skin. Some patients also benefit from a tightening procedure to the muscle (musculopexy) or lower eyelid (lateral canthopexy) during wound closure. Any surgery carries the risk of bleeding, bruising, infection and scar formation. Although rare (1 in 20 000), blindness is a reported complication from cosmetic eyelid surgery – and you must be advised of any serious risk even if very rare. Blepharoplasty can be complicated by dry eyes, watery eyes and lid retraction, endotropion or ectotropion (inward or outward distortion of the eyelid). For any procedure performed on both sides of the face, it is never possible to guarantee either perfect symmetry or a perfect result. Anyone undertaking cosmetic surgery should be able to come to terms with this in order to be able to undergo the operation. The risk of these complications is reduced by careful assessment and surgical planning. The skin around the eyelash margin can have numbness or reduced sensation – which generally returns over the weeks and months after surgery. Any general anaesthetic confers a risk of deep vein thrombosis, chest infection, stroke and cardiac complications and a risk of death in the order of 1 in 350 000. Risk management includes the use of automatic intermittent calf compression devices during a general anaesthetic and continuous monitoring under the supervision of a consultant anaesthetist. Of course, blepharoplasty is one of the commonest operations performed in facial plastic surgery and has entered common practice due to the fact that it is largely such a safe and predictable procedure. You should make sure that you have given a clear medical history to your surgeon and you may also want to discuss the planned procedure with your general medical practitioner. Skin is not cloth, it is living tissue and adapts to any tension or tightening over time. This is entirely normal and understood as ‘common sense’. Just as with weight gain or pregnancy when the skin is tightened, it adapts and stretches to partially accommodate this. 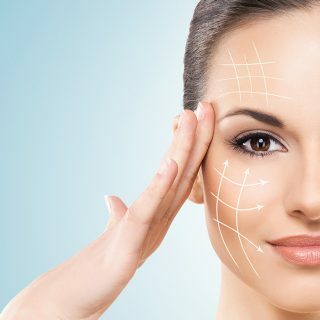 Surgical procedures involving tightening for rejuvenation such as eyelid surgery will be followed by some relaxation over a few months after the procedure – so that excess skin folds (reduced by the surgery) can partially reappear. The gains in rejuvenation around the eyes for blepharoplasty are sufficiently beneficial that the significant majority of clients are highly satisfied with the improvements made despite such partial relapse. Very happy with the operation and would not hesitate to recommend to friends and family. Friends and family say I look fresh, well and happy. I think I look 10 years younger. Mr Blackburn [is an] excellent surgeon. People say I look much better and younger. From the moment I met Tim I felt at ease. He explained the procedure - blepharoplasty and the date was set! The results are beyond my expectations! If you are thinking of having this done, I would highly recommend Tim Blackburn. Mr Blackburn informed me of every step of the procedure in a caring, respectful manner. I would highly recommend his service. I felt relaxed and special. The research which Mr Blackburn did into my health problems was very thorough. Nobody tells me I look tired anymore and my friends say I look well.